Warriors are down in the DUMPS! Thighs like what, what! But fear not because Bogut is BACK --bout to bring that vintage Warrior vibe and the fans are excited. Naomi and Matt lay out their ultimate Warrior’s dream line up, give more Dwayne Wade love cuz why not?! 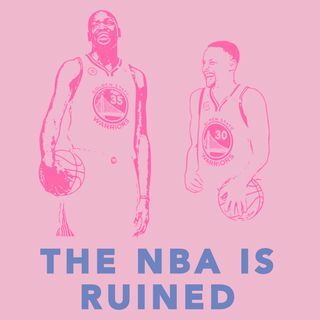 We discuss the Celtics thumping, TJ McConnell & Mama Boban, LeBron celebrating individual stats while his team is down 20, Klay's fire promo with our gurl Kerith, and we talk A LOT about the Kings Bucks game we went to. ... See More Don't forget to rate, review, and subscribe cuz you the real MVP.